Santa Clause is coming to town! Ho ho ho, Merry Christmas little boys and girls! But before Santa Clause, Bankee Trading Inc. will make all your Christmas wishes come true! Who's excited to see what toys will hit the shelves of your favorite toy store this coming holiday season? (I'm raising both my arms because I'm excited too!!!) So moms and dads of the page it's time to bring out your child's wishlist and check the toys that he/she dreams of this Christmas. But before anything else, for those of you who are still clueless about Bankee Trading Inc., well Bankee is the reason behind why we have all these amazing toys here in our country! 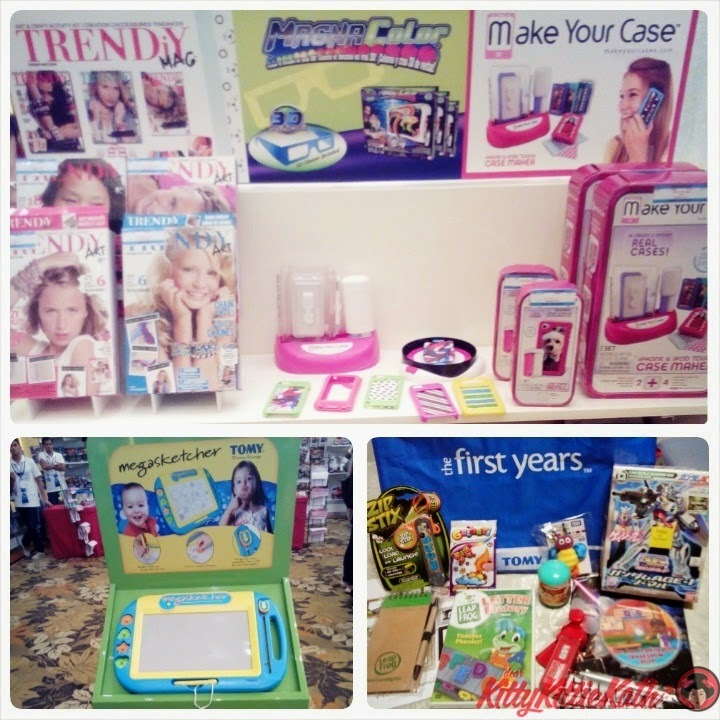 They're the company that brought more than 600 brands of promising brands of toys, infant care products and other stuff that kids and kids at heart will surely love! So to all the parents and dear readers, I know you're all excited to see what you should get for your little ones this Christmas :) Click CONTINUE READING and smile! I was very privilege when Bankee Trading Inc. invited me as one of the few who will get the first dibs on what kind of toys will rock this holiday season. 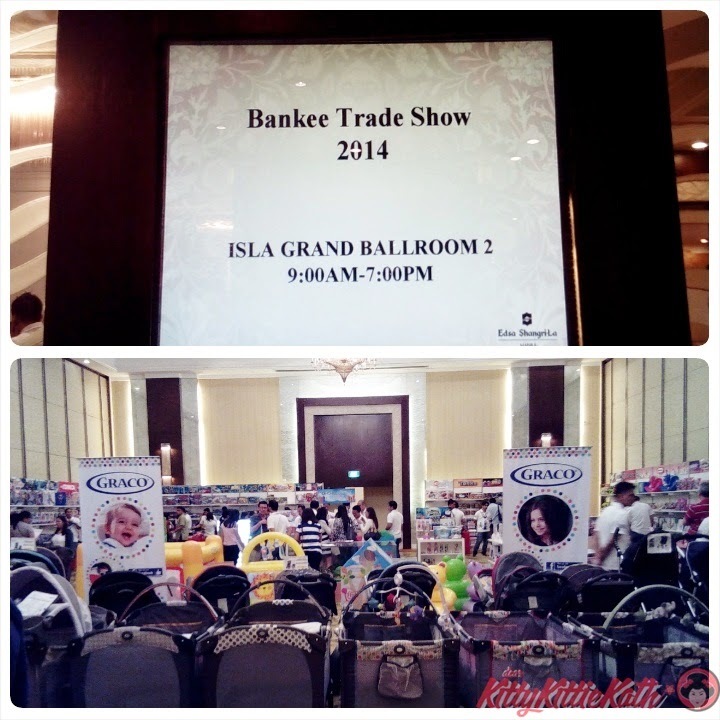 Bankee Trade Show was held last September 5 at the Isla Grand Ballroom of Edsa Shangrila Hotel. 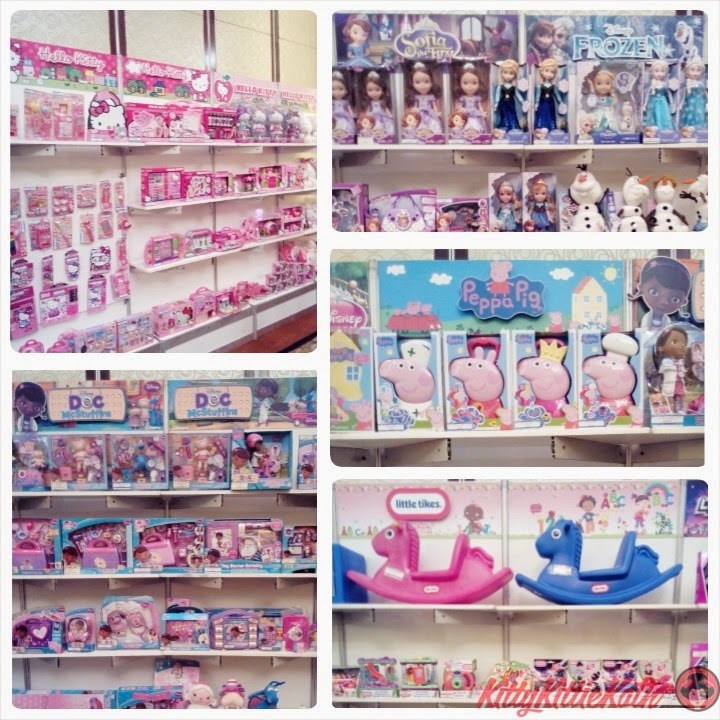 I was in toy heaven when I entered the showroom. My eyes sparkled as I glanced over hundreds of toys and infant stuff that were on the shelves. Actually I don't know where to start because my eyes keep on looking back and forth as the toy's packaging glisten in the hotel's lighting. I was totally mesmerized, it's like I'm back in my childhood days because of the toys that I'm sure boys and girls would love to have this Christmas. Make your gifts extra special this Christmas, if you have expecting moms-to-be this last quarter of the year, pregnancy and newborn baby stuff are one the nicest things that you should consider to give her this season. Bankee Trading Inc carries baby brands like Graco, and The First Years. These brands are trusted by parents worldwide so I'm sure that they'll be delighted receiving one of those. "Let it go, let it go can't hold it back anymore..." I'm sure your daughters will not let Elsa and Ana go as the Frozen craze continues! Bankee will be releasing Frozen character dolls like Elsa and Ana with Olaf too! Another addition to the princesses is Sofia so for those who want to let go, say hi to Sofia- another princess that I'm sure your daughter would love! For the Hello Kitty lovers (FYI- Hello Kitty is not a cat as revealed by Sanrio) don't be sad with the news, there's a bunch of new collectible items that I'm sure the kids and kids at heart would like to have! Another additional to the gang are Doc Mc Stuffins and Peppa Pig. These may sound new to you but I'm sure your little ones been telling stories about them. I'm haven't seen Doc Mc Stuffins yet that's why I'm going to introduce it to my nieces this Christmas. Peppa pig is one of my son's favorite cartoons and he's been watching the series from time to time. The toys above are great for the boys (and the big boys, I guess). I'm excited to see limited edition of Tonka Trucks, Road Rippers and CAT Construction playset that will hit the toy shelves this season. I'm frequent at toy stores and haven't seen the complete line of Tonka Trucks and CAT Construction playset in the shelves so this is one of the things to watch out for. The photo on the lower right is the HexBug, this is one of the coolest toys that I've seen so far. These are micro robotic creatures that comes in different shapes and sizes. There are five different group of Hexbugs available in the market today so if you want to know what these toys are all about, you should check them out at the toy stores near you! If you want to give the gift of Education in a more exciting and advanced way, then the right brand to consider is LeapFrog. I swear by this brand, because they really make learning easy and fun. We don't have LeapFrog LeafReader or other toys from the brand but I was lucky to have the learning ABC dvd's as a complimentary gift from the press kit. Kenzo loves watching the dvd and he learned the right pronounciation of the alphabets in no time. 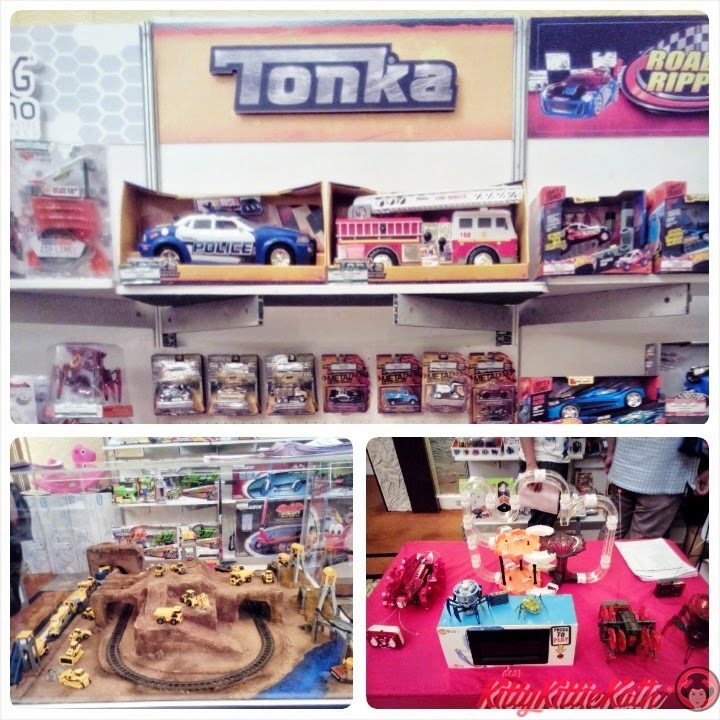 Did you noticed that the photo grid above is all about Tomica? Tomica lovers, hear ye, hear ye! Brace yourselves because new and exciting die casts and play sets including limited edition vehicles will hit the shelves of your favorite toy stores this holiday season. I was so giddy when I saw limited die cast models and the car play sets because honestly, I haven't seen them at Toy Kingdom or at Toys R Us where Kenzo always shop for toys. 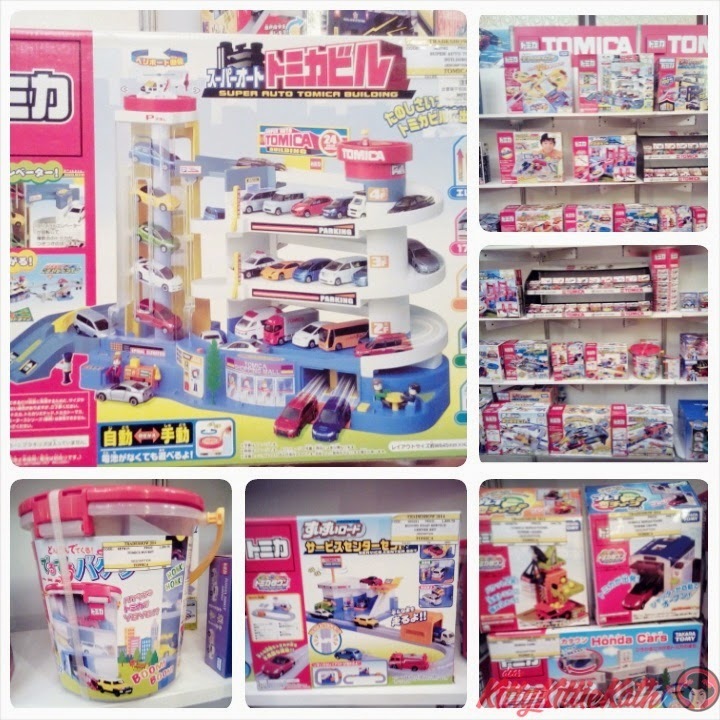 There's so many Tomica items on display and I had a hard time memorizing the name of the vehicles and play sets that will arrive at the stores starting October. Kenzo loves Tomica, he's a huge fan of the brand ever since we introduced him to die cast cars. He will usually run to Tomica shelves and skim through the glass case where different models of automobiles where on display. We gave him the Word Highway Bus playset last Christmas and he was really thankful and wished to have another play set that we will connect with the previous one. I'm so excited to tell you stories about Tomica, Kenzo's rants and raves but I will save that on my next post. Hopefully, we'll be given a chance to share a review of Tomica die cast cars and playsets before Christmas to give you an idea why we really love this brand! 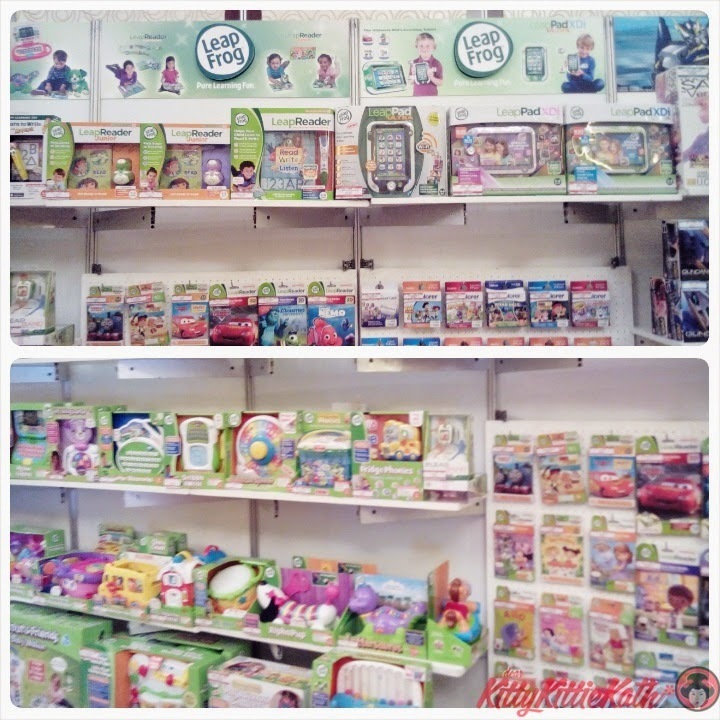 Lastly, here are the toys that can be played by the budding teens and the kids at heart. It's my first time to see Trendiyart and my eyes were stuck on those DIY bracelets and charms. Sounds fun to play with huh? Yes, if you like to create your own accessories the fun way, this one is for you! Yay! I'm very very excited for Christmas. No more spoilers for now, visit your favorite toy stores starting next month and I'm sure you'll see the best toys you can give this Christmas! Thank you Bankee Trading Inc., for having me and for letting me share in advance the excitement and joys this coming holiday season. Wow,so many toys,my baby bella would love all of this! That sounds like such fun event. That's a ton of toys that my kids would love getting their hands on. There are only 95 days before Christmas. My cousins are already wishing gifts from Santa as early as now. 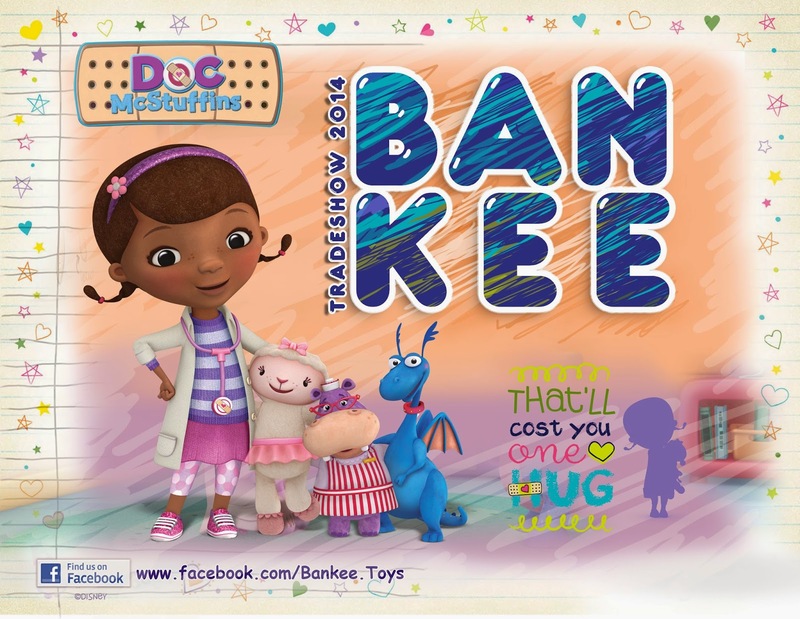 I've never known about Bankee before. The toys here look so great! Wow so many toys! I like the design your own cell phone case , especially for preteens who are in that awkward what do I get them stage. Wow what an awesome Trade Show! Looks like there's some things I'll have to write down for the kids this Christmas. What a awesome trade show. It must of been nice seeing all those new toys..
Wow, my kids would have gone crazy visiting and seeing all those. =) Thanks for sharing new toys I haven't seen yet. One of my toughest toy when I was young was a tonka. This would be a nice place to visit especially with the Christmas season coming. I love the Holidays Kath, looks so wonderful! Wow that is an amazing selection of great products. A kids dream come true! We are huge fans of LeapFrog too. Cute stuff, I bet my niece would love their toys. Such a great selection of new toys to choose from! I'm sure even the smaller kids will love anything customized. Cool toy preview. We love Doc Mc Stuffins around here. Don't know why her stuff is usually geared to girls though. It's fairly unisex. I would have loved to be at this event. Most adults would not admit they still get excited to see new toys. lol I wish when I was little they had toys like this but I think the first Baby A Live was the big doll back then. Thanks for sharing. Wow, kids would love to see those toys! great selection and value for the money! Merry Christmas Kath! Oh dynamic, I certainly would go bananas with all those toys. I have young nieces and little nephews that would enjoy those selection. Love Doc McStuffins.